Trivial Quest is a gaming trivia RPG! Correctly answer questions about your favorite video games, board games, and sports to defeat enemies. Earn gold, experience, items, and new abilities along the way as you vanquish the bosses of each world and hunt down the legendary Trivial Treasure! Put your gaming knowledge to the test and take on this Trivial Quest! Endless Trivia Questions: Over 7,000 video game, board game, and sports trivia questions! Your Favorite Games: Choose from dozens of rotating categories featuring your favorite new and classic games. Adventure Mode: Battle enemies in Adventure Mode to earn gold, experience, items, and new abilities. 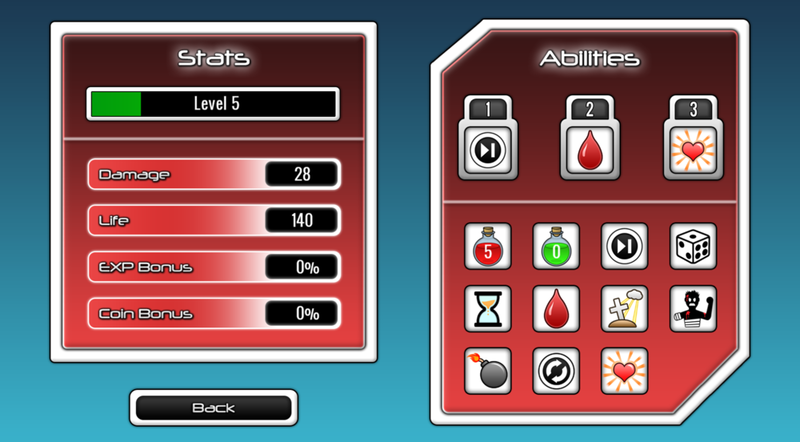 Customizable Loadouts: Customize your own powerful combination of potions and abilities to conquer new worlds and bosses. Iron Man Mode: How long can you survive against a gauntlet of opponents in Iron Man mode? Test your gaming prowess and best the high score of your friends and rivals! Trivial Quest and the trivia questions contained within it are original material written and created by Dapper Alchemist © 2017. All Rights Reserved. All other trademarks (including video games, board games, game developers, and sports teams referenced within Trivial Quest) are the property of their respective trademark owners.